Is Andy Cohen the busiest man in show biz? Bravo Media has added seven new unscripted TV series to its development slate. Titles include: Look Who’s Hosting Live, Employee of the Month, Real Estate Wars, Stripped, I’d Kill for That, State of Affairs, and Invitation Only. Guess which one Cohen will host and executive produce. NEW YORK – May 26, 2016 – Continuing its commitment to high-quality programming, Bravo Media is adding seven new unscripted projects to its development slate, it was announced today by Lara Spotts, Senior Vice President of Development. Showcasing a variety of genres and formats, the new projects include everything from an outrageous social experiment, to a new take on the classic game show, to new series with popular network talent Andy Cohen as well as Ryan Serhant. Produced by Embassy Row and Most Talkative, with Deirdre Connolly, John Jude Schultz, Michael Davies and Andy Cohen serving as Executive Producers. Andy Cohen turns the tables on celebrities who have envied his job and gives them the ultimate opportunity to host their own live late night talk show, for one night only. From writing monologues, to picking their sidekicks and guests, these hosts-for-a-night will get the chance to live out their fantasy and design their dream show. Produced by World of Wonder with Randy Barbato, Fenton Bailey and Tom Campbell serving as Executive Producers along with Ryan Serhant as Co-Executive Producer. They say a great salesperson can sell anything to anyone. Nobody exemplifies this better than top realtor Ryan Serhant (“Million Dollar Listing New York”). In this fish-out-of-water experiment, Ryan will team up with under-performing sales representatives that deal in anything from cars to seafood to caskets. While Ryan learns the tricks of that particular trade, he will also give the low-selling employee a head-to-toe business overhaul and turn them into sales machines. Produced by World of Wonder with Randy Barbato, Fenton Bailey, Tom Campbell and Elise Duran serving as Executive Producers. Two rival real estate agencies in Orange County, California will go head to head in the ultimate competition for pride and prize to see who can sell the most property in six months. Each agency will build an all-star team as they battle for listings and fight for sales of some of the country’s most enviable estates. With egos on the line, this showdown is less about winning and more about proving who runs this city. Produced by Original Media with Steven Weinstock, Glenda Hersh and Todd Hurvitz serving as Executive Producers. Based on the hit Scandinavian format, this social experiment tests materialistic individuals who agree to be stripped of everything they own including clothing, furniture and all their coveted possessions for 21 days to find out how their life will be affected. Each day, they will be permitted to take back one item that they can’t live without. This is a survival challenge that doesn’t take place on a desert island, wilderness or outback, but in the confines of one’s own home. Produced by Embassy Row with Michael Davies, along with Realizer Productions’ Matt Berkowitz and Shauna Monoprio, serving as Executive Producers. “Double Dare” meets Dolce & Gabbana and “Wipeout” meets Wang in this physical game show that tests how far you would go to win a Birkin bag, Louboutins worn by a coveted Bravolebrity or the latest ‘it’ watch. Each week, friends, co-workers and family members will compete against each other in a series of trivia, brain teasers and hilarious physical obstacles in hopes of winning an enviable object of their desire. Produced by Fascination Street with Drew Brown and Steve Berkowitz serving as Executive Producers. Outspoken and no-nonsense infidelity expert Dr. Lisa Paz believes there is no such thing as monogamy and the cheater isn’t always the villain. In this project, she will counsel couples rocked by affairs with her unorthodox beliefs and radical methods to help them decide if they can get past the betrayal and stay together or if they should call it quits. Produced by 495 Productions with SallyAnn Salsano serving as Executive Producer. Managing different personalities can be overwhelming, especially when friends clash. In this arcing docu-series, one person will invite a handful of their closest friends from different phases in their life to meet for the very first time and embark on an incredible getaway. With everyone under one roof, will one vacationer’s emotional baggage ruin the group dynamic or will the high school bestie make a love connection with the office confidant? Bravo Media is the premiere lifestyle and entertainment brand that drives the cultural conversation around its high-quality, interactive original content that focuses on the network’s passion points of food, fashion, beauty, design, digital, and pop culture. The network’s diversified slate includes Bravo’s first scripted series, “Girlfriends’ Guide to Divorce,” scripted comedy “Odd Mom Out,” and unscripted favorites such as Emmy Award-winning “Top Chef,” “Vanderpump Rules,” “Below Deck,” “Thicker Than Water,” and the popular “Million Dollar Listing” and “The Real Housewives” franchises, as well as the only live late-night talk show, “Watch What Happens Live.” Available in 92 million homes, Bravo is a program service of NBCUniversal Cable Entertainment, a division of NBCUniversal, one of the world’s leading media and entertainment companies in the development, production, and marketing of entertainment, news, and information to a global audience. Watch Bravo anywhere: On Demand, online or across mobile and connected TVs. Bravo has been an NBCUniversal cable network since December 2002 and first launched in December 1980. What do you think? 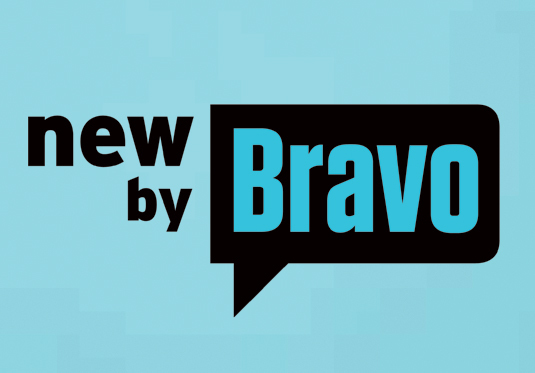 How do you like the sound of Bravo’s potential new TV series? Which ones interest you? Tell us! More about: Bravo TV shows: canceled or renewed?, Employee of the Month, Employee of the Month: canceled or renewed?, I'd Kill for That, I'd Kill for That: canceled or renewed?, Invitation Only, Invitation Only: canceled or renewed?, Look Who's Hosting Live, Look Who's Hosting Live: canceled or renewed?, Real Estate Wars, Real Estate Wars: canceled or renewed?, State of Affairs, State of Affairs: canceled or renewed?, Stripped, Stripped: canceled or renewed? The only one of these I’ll watch at all will be “I’d kill for that”. The rest seemtabee their usual collection of reality garbage.